My love affair with all things pumpkin continues. I just can’t help myself. 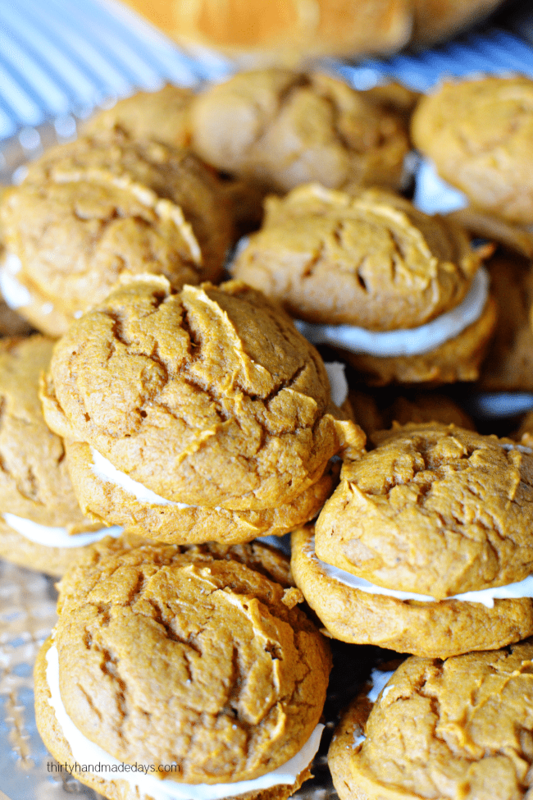 This Pumpkin Whoopie Pie recipe is not only easy to make but so so so good. Josh ate one of these whoopie pies and said “they are like biting into a cloud.” I’ll take that as a win! 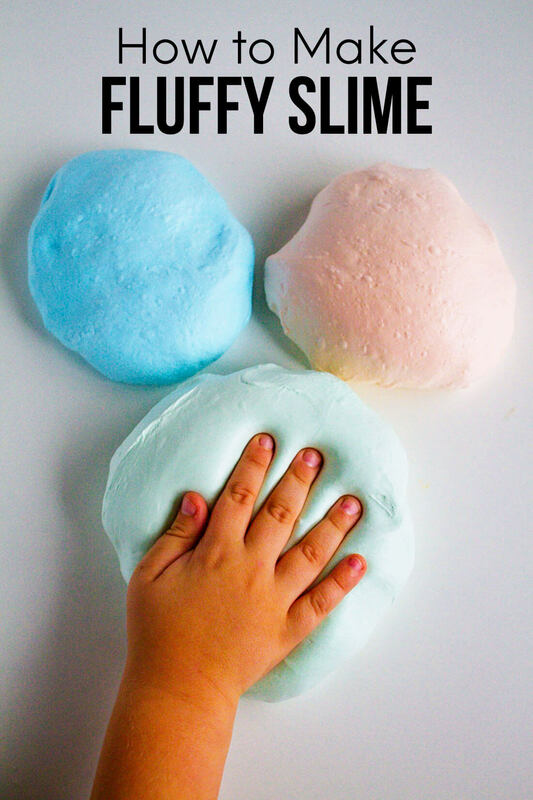 They are super duper easy to make. You only need a few ingredients and you are good to go. The one downside (as with all whoopie pie type cookies) is that it takes double to make one cookie. 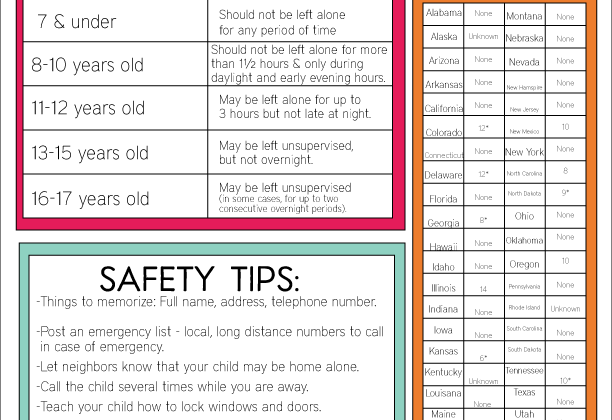 You’ll have sheets and sheets of cookies but then they don’t make a ton of them by the time you’re done. Clear as mud? Either way, they are worth it. It’s a type of dessert that is made from two soft cookies with a creamy filling sandwiched in between them. They are a traditional New England treat and even the official treat of Maine! The more you know. I’ve made them with chocolate, kind of like a softer homemade oreo cookie. 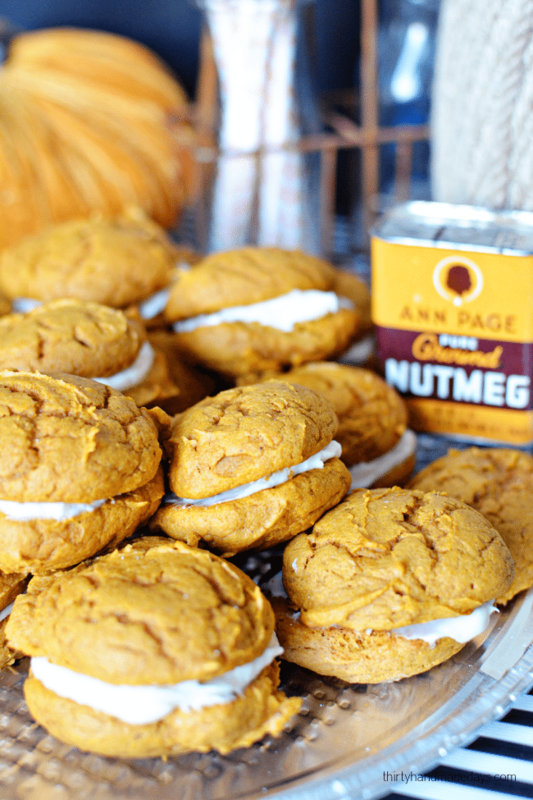 I also have a great Nutter Butter recipe and while they aren’t technically whoopie pies, they are a sandwich type cookie with filling in between. 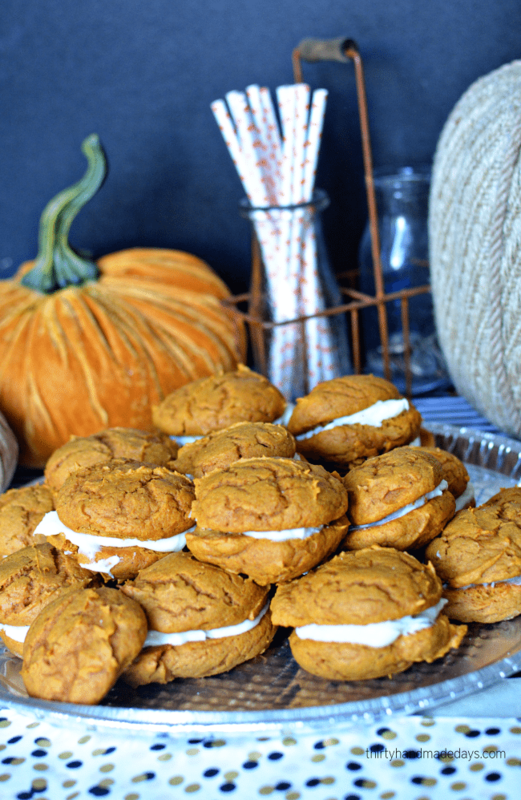 Make this recipe to bring in fall! 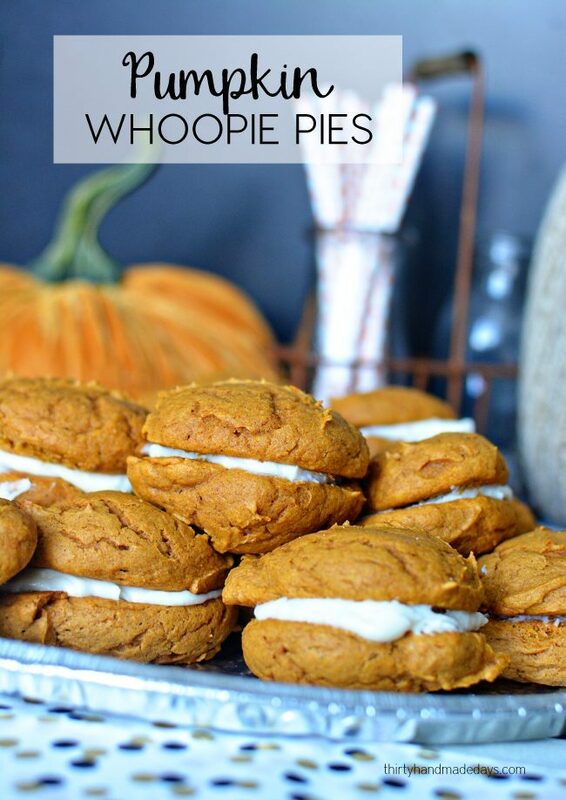 Pumpkin Whoopie Pies are so so so yummy! 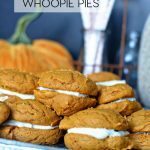 The cookies are light, fluffy and full of pumpkin flavor and the filling is pure creamy goodness! Mix together cake mix, oil and pumpkin. Drop by spoonful onto parchment paper (I love my cookie scoop so they are all even). Whip together butter and cream cheese..
Add vanilla and slowly add in powdered sugar. Once cookies are cool, spread frosting in between two cookies. My kids loved these as well. Drew commented how they taste similar to my Strawberry Oreos and he is right. 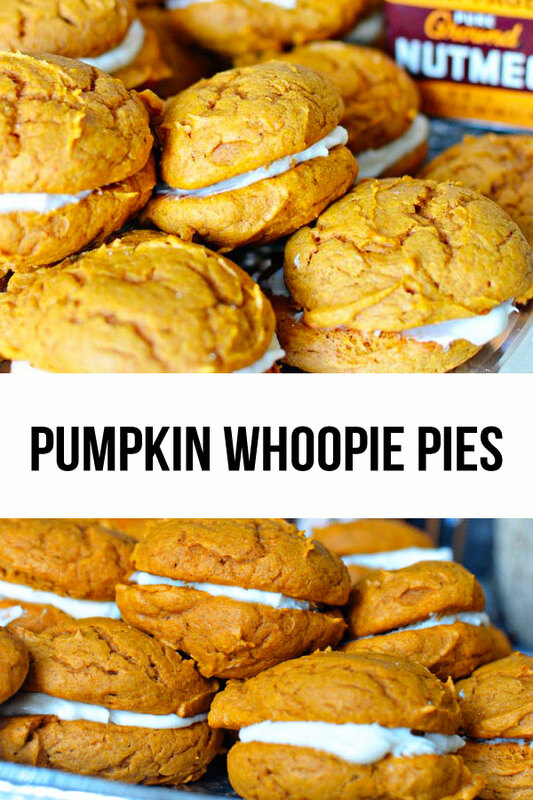 Only these are perfect for fall. http://ambertackles.blogspot.com/2015/09/garden-pumpkin-puree-and-pumpkin-pie.html?m=1 and I also used the frozen, then thawed puree in a super yummy pumpkin dip for a Harvest Party I threw. what size box of spice cake does this recipe call for?